We manufacture custom staircases including circular, spiral, straight stairs, wood and iron stair parts and we sell Bessler brand sliding stairs. Do you need help renovating your entryway or staircase? 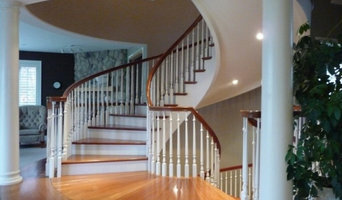 Remodeling your staircase doesn't have to be an overwhelming task. We've streamlined our staircase renovation projects so that our delivery and installation process is hassle free. 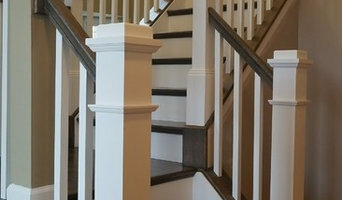 Our staircases and parts are safely, securely, and correctly installed. From the intricate design and layout of custom staircases to the newest balusters used to design the rail system, Schutte Stair Company handles every aspect of building a staircase. 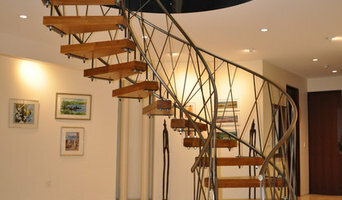 Our friendly in house design and sales team make it easy to create the staircase of your dreams in one stop. They will work with you and your ideas to create a beautiful staircase. Stop in to our showroom today to see how Schutte Stair Company can help you. Founded in 1975 by Jack Tirey, Cincinnati Stair is a family-owned company that has been in the business of designing custom staircases and handrails, a fine art that has been honed through generations. Our motto is: "If you can dream it, we can build it." We work closely with architects, homeowners and builders to design stairs using the finest top hardwoods like American cherry, birch, red oak, maple and Brazilian cherry. 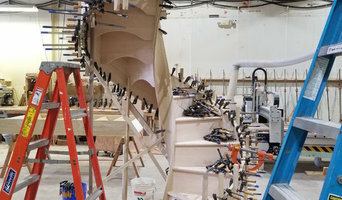 Cincinnati Stair's reputation for quality craftsmanship, creativity, elegance, and service are but a few reasons why customers choose Cincinnati Stair. Regardless of the scope of your project for your new or your existing home, we provide one-on-one personal service from the design stage to the finished product to ensure your project meets and exceeds your expectations. As a result of our participation over the years in The Home & Garden Show and Homearama, we have garnered numerous clients -- builders, homeowners and architects -- who are interested in the quality of our craftsmanship, personal service, and on-time delivery. Elegant Iron Studios is the premier source for custom ornamental iron and architectural metalwork in the greater Dayton, Cincinnati and Columbus areas. We work with both residential and commercial clients, as well as design professionals seeking high-end craftsmanship and superb fit and finish. We are absolutely committed to providing the finest ornamental ironwork available. Founded in 1975 by Jack Tirey, Cincinnati Stair is now owned and operated by Dustin Kreiger. Cincinnati Stair has been in the business of designing custom staircases and handrails, a fine art that has been honed through generations. Our motto is: "If you can dream it, we can build it." 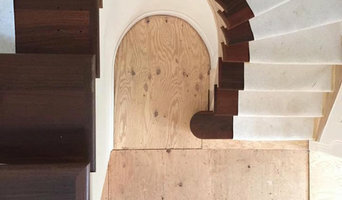 We work closely with architects, homeowners and builders to design stairs using the finest top hardwoods like American cherry, birch, red oak, maple and Brazilian cherry. Hardwood stair tread covers. Hardwood stair riser covers. Decorative stair risers. DIY Iron Balusters. Barn Doors. Design Consultation. Stair remodeling ideas.